Standing on a hilltop in upstate New York, with the breeze blowing lightly through his hair, the Reverend Charles Grandison Finney surveys his audience. He is about to say something startling. In his grand baritone, he begins by exhorting them to listen carefully; he is about to change their lives. Salvation is the beginning of a life of good works here on earth! Man can, therefore, achieve his own salvation. God is not angry! God is merciful and loving. Therefore, go forth, and do as well as believe! 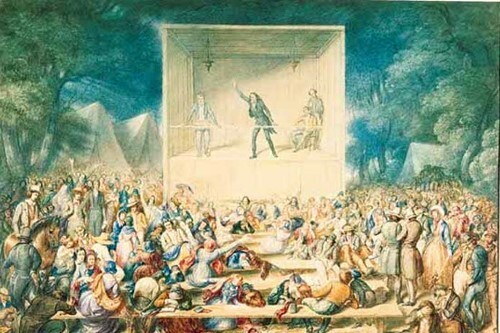 What long-term effects did the Second Great Awakening have on the country?